I am just totally flabbergasted! 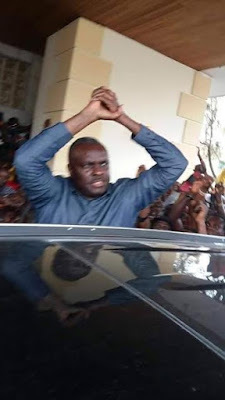 This is the result of total illiteracy and corrupt mindsets.Imagine what the upcomings and the younger ones must think?I can see a young boy now thinking its okay to steal,after all look at what happened to Ibori. 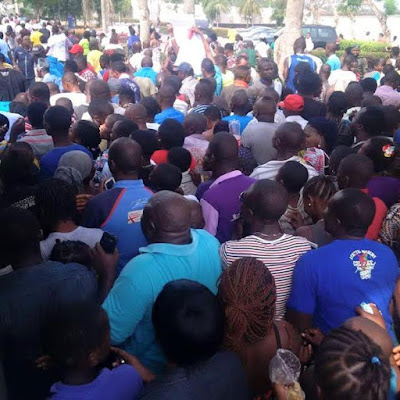 And the most annoying thing is the fools who keep saying he was the best governor they ever had.If true at all,so bloody what?He was doing his job,he was voted in to do his best for the people and do the things he promised them during his campaigns. 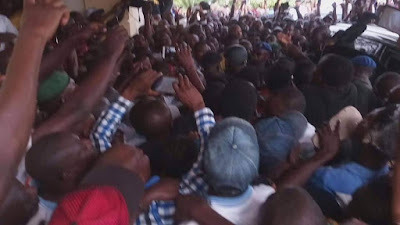 So if he does those things,he has to steal and loot in return?Wasn't he paid his salary for the job?Does a road sweeper steal all the cars on the streets just because he was the best cleaner among his peers? I swear,some Nigerians are just so stupid and gullible! 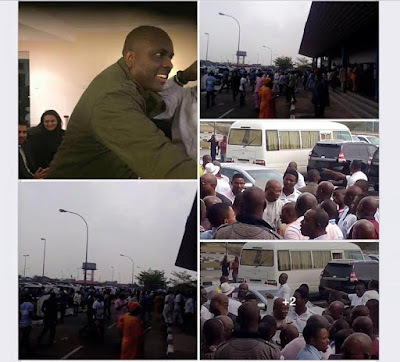 People waiting at the airport to receive the great son of Nigeria. 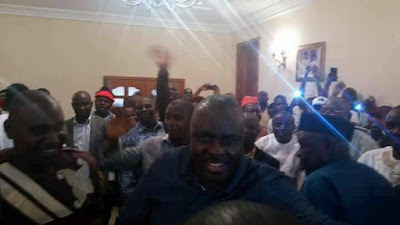 After the Jmes Ibori release,he flew into Nigeria today the 4th of February.Quite a number of the kinsmen of former Governor of Delta State, were at the Benin Airport in Edo State to welcome him.He arrived on Chartered flight and immediately proceeded to his village in Ethiope East Local Government Area of Delta state. 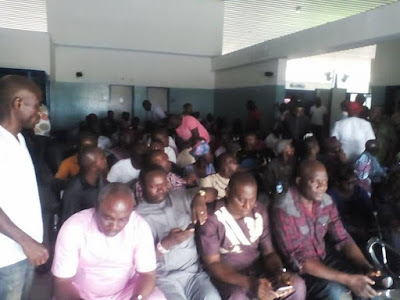 Many politicians who turned up at Osubi airport in Delta state waiting for him to land there followed him to Oghara where they plan to give him a rousing welcome.I see this and still can't believe my eyes.This is Nigeria.